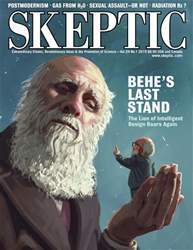 Digital Subscriptions > Skeptic > 24.1 > What Are Ghosts, Anyway? I’LL START WITH A CONFESSION: I’M irritated by the general topic of ghosts. I’ve written on ghosts from time to time. 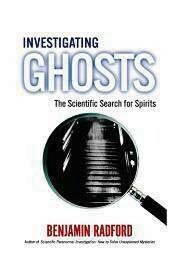 My most satisfying ghost story was a two part Junior Skeptic article on spirit photography. Here I found a neatly constrained subtopic I could sink my teeth into. Spirit photography has a clear moment of origin and a pattern of evolution over time. There is physical evidence to evaluate, and specific claims to assess. There is a hefty but finite body of literature. That particular mystery is solvable. The same is true for a few other related subtopics such as astral projection and Ouija boards. On the other hand, my story on haunted houses forced me to confront the frustration of ghosts as a topic in general: it is too vast and too vague. Ghosts are probably humanity’s most common paranormal belief—variable in detail by region, but virtually a human universal. The concept of disembodied spirits is global, transcultural, and so ancient that its origins are forever lost in time. Ghost stories may very well be as old as spoken language. By the time of the Romans, people told fully modern haunted house stories that sound as though they were written by Charles Dickens. I cannot even begin to imagine the staggering vastness of the global literature on ghosts. It seems certain that no complete bibliography for the topic exists or can exist, even just for the nonfiction material published in English.